We are glad that the 6th CCM-Conference was a great success. 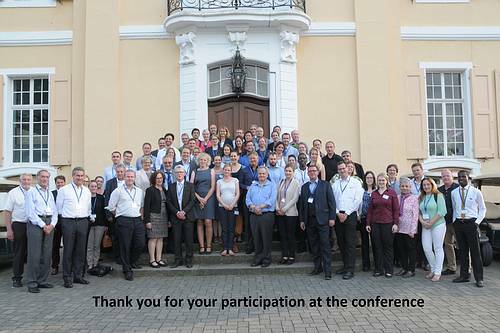 We thank the lectures and all participants for their great contribution to our conference. We hope you enjoyed the time in Bonn and had a good trip home. Challenges in temperature controlled supply chains have increased steadily during the last years. The delivery of high quality and safe products worldwide as well as a sustainable food production become more and more important. Therefore, food producer, logistic companies, wholesaler and retailer are searching for solutions to control important environmental parameters, to manage product quality, safety and shelf life and to increase resource efficiency over the entire chain. Furthermore, consumers want to be aware about sustainability aspects in terms of production processes, logistic pathways and applied technologies and materials. Thus balancing cold chain approaches, logistic concepts and sustainability will be one of the biggest challenges in the coming years. The conference aims to bring together people from research and industry sector as well as of public organisations. It addresses all organisations which work in the field of cold-chain management including food producer, retailer, logistic companies, technology, software developer and consumer associations.